Throughout Eastern Europe, the unexpected and irrevocable fall of communism that began in the late 1980s presented enormous challenges in the spheres of politics and society, as well at the level of individual experience. Excitement, uncertainty and fear predicated the shaping of a new order, the outcome of which was anything but predetermined. Recent studies have focused on the ambivalent impact of capitalism. Yet, at the time, parliamentary democracy had equally few traditions to return to, and membership in the European Union was a distant dream at best. Nowadays, as new threats arise, Europe’s current political crises prompt us to reconsider how liberal democracy in Eastern Europe came about in the first place. 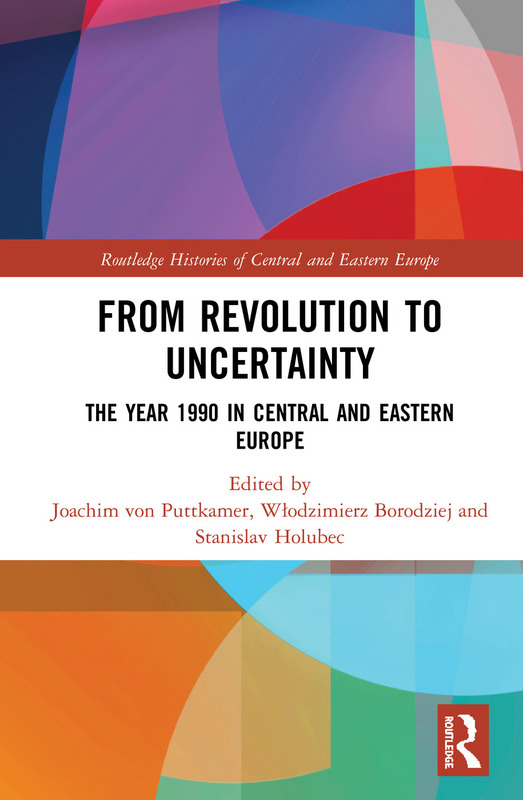 This book undertakes an analysis of the year 1990 in several countries throughout Europe to consider the role of uncertainty and change in shaping political nations. Wlodzimierz Borodziej is Professor of History at Warsaw University, Stanislav Holubec is a researcher at the Institute of History of the Czech Academy of Sciences, Prague, and Joachim von Puttkamer is Professor of Eastern European History at Jena University and Co-Director of the Imre Kertész Kolleg. The nations of Central and Eastern Europe experienced a time of momentous change in the period following the Second World War. The vast majority were subject to Communism and central planning while events such as the Hungarian uprising and Prague Spring stood out as key watershed moments against a distinct social, cultural and political backcloth. With the fall of the Berlin Wall, German reunification and the break-up of the Soviet Union, changes from the 1990s onwards have also been momentous with countries adjusting to various capitalist realities. The volumes in this series will help shine a light on the experiences of this key geopolitical zone with many lessons to be learned for the future.